Ontario is the most populace province in Canada, and their gambling scene is thriving. From land-based casinos and lotteries to legal sports betting, those who like to risk their hard-earned money should have no shortage of options. Legal gambling in the province is managed by the Ontario Lottery and Gaming Corporation. The organization employs more than 15,000 people, and they’re responsible for 24 gaming locations, 29 charitable gaming centers, and lottery sales at more than 9,600 retailers. This article focuses on Ontario sports betting, from online gambling to the types of games offered in most gas stations and convenience stores. 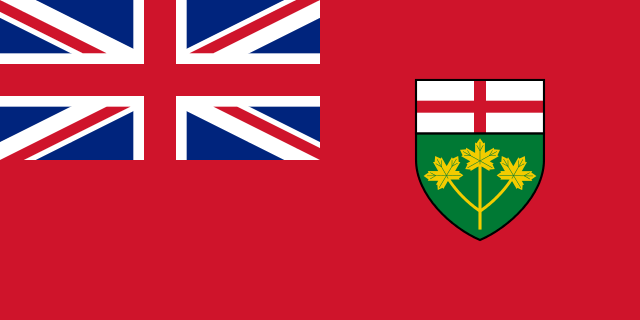 Sports betting is legal in Ontario, although it falls under the jurisdiction of the provincial government. Like several other parts of the nation, they allow players to wager on games via cards that are available through lottery centers and an online site. • Canadian law doesn’t allow single-game betting, so all wagers must come in the form of parlays. In almost every case, the customer must get all their predictions right in order to receive prize money. • The odds offered to players are inferior to online bookmakers. Most licensed bookies in Las Vegas and the U.K. expect to pay out $100 for every $110 wagered (110% vig). When the parlay requirement is factored in, the vig for Pro-Line wagers ranges from 160% to 300%. These unfavorable odds have led scores of gamblers to abandon the provincial system in favor of online bookmakers. • Pro-Line – The player is provided with a list of odds for the outcome of various events. They may predict the outcomes for 3 to 6 events, and all selections must be correct in order to win. Customers can wager as little as $2 or as much as $100. Pro-Line offers the following sports for the purposes of wagering: hockey, American football, Canadian football, American college football, baseball, American college basketball, European soccer, and North American soccer. • Pools – The player gets a card with a list of sporting events, and wagers are set at $5 per card. The player picks a “visitor” or “home” win for each team on the card, and the participant with the most correct guesses wins the prize pool. • Point Spread – Each sporting event is handicapped with a point spread, and the player must choose a “home” or “visitor” win for 2 to 12 games. Wagers can range from $2 to $100, and all predictions must be accurate in order to win. In order to protect the financial integrity of the service, Pro-Line has put a number of limitations in place. These include maximum payouts, daily maximums, and sales to individual customers. In the case of the latter, the limit is $100 wagered on both Point Spread and Pro-Line in a 24-hour period. The most that’s paid out on a single ticket is $600,000. Since it’s the largest province in Canada in terms of population, Ontario has a number of professional sports teams. This is ideal for gamblers, as it gives them more betting opportunities and access to hometown news on the teams. The teams listed above should be available from both Internet bookies and the local Pro-Line system. Other sports teams also exist within the province, but they’re far less likely to have available betting lines. Ontario residents can wager online without fear of breaking any laws. Multiple offshore companies offer casinos and virtual sportsbooks to the province, with most accepting the Canadian dollar and offering French as a supported language. If you do decide to place a sports wager online, it’s always a good idea to check out a site before opening an account. Make sure the book offers competitive odds and has a reputation for paying out on time. If you fail to do your homework, you could find yourself in an unpleasant situation. If you’re not a fan of online sports betting or Pro-Line, there are always other options available to you, even if they’re not entirely legal. The first possibility is to find a friend or co-worker who likes to wager on games. This allows you to lay odds or make straight-up bets, and you don’t have to pay a vig to anyone. It’s a tried-and-true method that’s been employed for centuries, and there’s no paper trail to worry about. The second option involves finding an illegal bookie. This is an individual who takes wagers on sporting events without permission from the government, although the vig is still likely to be much lower than what’s offered by Pro-Line. You can usually find one of these fellows hanging out in a smoke-filled bar, although you should always research them before establishing a relationship. Otherwise, you might wind up associating with someone who’s slow to pay their debts or tied to organized crime. Between land-based sports betting and online bookies, residents of “The Heartland Province” have plenty of options to choose from. Ontario sports betting is a thriving industry, although the terrible odds offered by the Pro-Line system have driven away serious gamblers in droves. It still remains a convenient possibility, though, especially if you’re already stopping at a convenience store to get gas or buy a snack.